This page will guide you through the Admissions process and provide general information about housing and financial support. For International Students: see additional information at the bottom of the page. The choice of Focus Area is not binding and those admitted to CMB can change their primary Focus Area before or during the first year. The main purpose of the Focus Areas is to allow students to begin specializing early in their graduate career if they have a specific research interest. Applicants should have a good background in biology, physics, and chemistry. The ideal preparation includes introductory as well as some advanced courses in biology (cell biology, developmental biology, genetics, and molecular biology), biochemistry, organic chemistry, physical chemistry, calculus, statistics, and physics. Demonstrated experience in laboratory research is essential. Admission decisions are made on the basis of an overall evaluation of an applicant’s preparation and potential to complete a rigorous program of advanced study in biology. Particular attention is paid to the applicant’s academic experience, motivation and potential for research. The latter should be documented by reference letters from individuals in positions to judge research potential. Evaluations are based on the applicant’s academic record, Graduate Record Examination scores, prior laboratory research experience, letters of recommendation, and the two essays in the online application. Applications may be submitted electronically through the Grad Division. One official copy of all postsecondary academic transcripts (including transferred credits). Please follow all directions in the Graduate Division Application Process for supporting documents. Official scores for the Graduate Record Examination (GRE) general tests. The UCI institution code for the GRE is 4859, and a department code is not necessary. Test results five years old or older by the first day of school for the GRE will not be accepted. Application FIRM deadline: December 1, 2018 is the deadline for receipt of all application materials for Fall quarter admission of the following year. All admissions are for Fall Quarter only. Interviews: Promising applicants are invited to attend one of the “Interview Dates”, which are scheduled January 24-26 and February 7-9 of 2019. No other dates will be offered. Prospective students have the opportunity to meet with faculty and students in the program and to tour the campus. All travel and housing expenses are paid by the program. Notification: Applicants will be notified of admissions decisions by April 15, 2019. 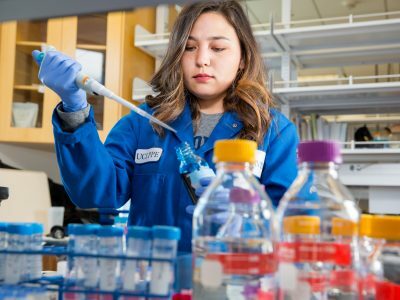 All students admitted to the program receive an annual stipend to cover living expenses, and University fees and tuition costs.The most highly qualified applicants may also be offered the prestigious School of Biological Sciences Dean’s Fellowship Award, or other competitive fellowships. These provide an additional financial incentive for enrolling in the CMB program. All CMB graduate students recieve guaranteed housing when they arrive. A wide variety of affordable housing is available in the UCI area. Many of our graduate students choose to live in Verano Place or Palo Verde, convenient and popular on-campus communities of apartments. The apartments range in size from one to three bedrooms. UCI maintains 784 apartments in Verano Place and 652 additional apartments in Palo Verde for full-time registered graduate students. All have carpeting, draperies, a stove, and refrigerator. In addition, four privately owned and managed apartment communities located on the east side of the UCI campus offer furnished apartments to single graduate students. Early application for all types of campus housing is strongly advised. 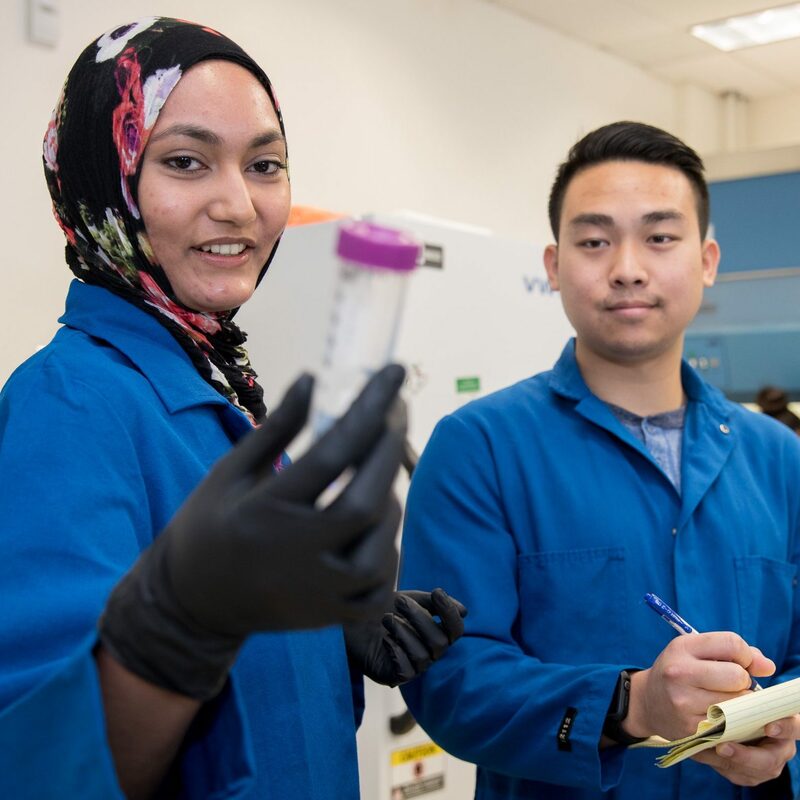 Many entering and continuing graduate students choose to live off-campus in Irvine or in the nearby communities of Newport Beach, Costa Mesa, Laguna Beach, Huntington Beach, or Santa Ana. Rents are comparable to those in other urban areas. The average commute from these areas is about 10-20 minutes by car. Public transportation between the UCI campus and major housing areas, shopping centers, and beaches is available, and both the campus and the surrounding communities are designed to encourage bicycle traffic with bike trails connecting UCI to many housing areas and to the waterfront areas of Newport Beach. Further information about housing, applications for on-campus housing, and listings for off-campus housing can be obtained from the Housing Administrative Services. TOEFL iBT. Test results that are two years old or older by the first day of school for the TOEFL will not be accepted. Additionally, test scores for the GRE that are five years old or older will not be accepted. Also, any institutional administrations of the TOEFL will not be accepted. Students should have a minimum score of 80 with 26 in the speaking test. The UCI institution code for the TOEFL is 4859. Students should have an overall score: 7, with no individual score less than 6. An 8 or better is required in the speaking module. Please call to make an appointment before you visit the CMB Office. Questions about the the CMB graduate program may be directed to gary.roman@uci.edu. Students desiring information about specific research interests are encouraged to correspond directly with faculty.